Another opinion poll confirms the weakening of Brown's position. I've now returned to the UK and feeling a bit jet-lagged but will try and get the service back up to normal tomorrow. In the meantime keep visiting Guido. He's been at his very best in the last week. His latest scoop should mean the end of Wendy Alexander. 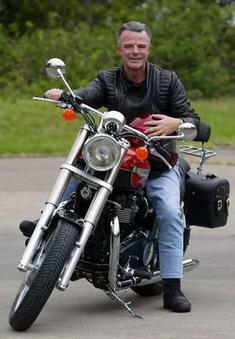 The twelfth category in the Conservative Movement Awards 2007. Iain Dale was right with his leak earlier. The new YouGov survey for The Daily Telegraph puts Labour 11% behind the Conservatives. The Telegraph reports: "More than 60% of Britons are now either “very worried” or “somewhat worried” that there will be an economic downturn in the next two years with the majority of the electorate now expressing concern over the government’s ability to deal with such a problem." 11% behind two months ago. 11% ahead now. Amazing. More here. Flanked by two Stars & Stripes flags (no Union Flag!) David Cameron and William Hague have just completed a press conference at Washington's Hay Adams Hotel (which serves the very best corned beef hash I've ever tasted). David Cameron held a "very positive" thirty minute meeting with the President. Later today, David Cameron will be meeting the Treasury Secretary, the Head of the World Bank and Secretary of State Rice. That's about as high profile a visit as you can get. I asked David Cameron if he agreed that the surge in Iraq was delivering results. He agreed that it had created space for political improvement but the "political surge" was yet to happen. William Hague added that there had been a significant improvement in the security situation but this was partly due to the decision of tribal leaders to turn against al-Qaeda and its sickening violence. In reply to a question from John O'Sullivan, Mr Cameron said that America was Britain's single most important relationship. I'll report a lot more later on David Cameron's Washington visit. The day began (photo above) with David Cameron paying respects to the American soldiers who have died in the wars in Iraq and Afghanistan. He's just spoken at the Brookings Institute about the Balkans. A very authoritative speech and cleverly chosen. Mr Cameron raised a neglected issue of looming seriousness but avoided the minefields of Middle East policy. "This is my first visit to Washington as Britain's Leader of the Opposition. I wanted to mark it this morning by paying my respects at Arlington National Cemetery, where so many of your country's heroes are buried. Men and women who have served not just the United States, but the cause of freedom the world over. 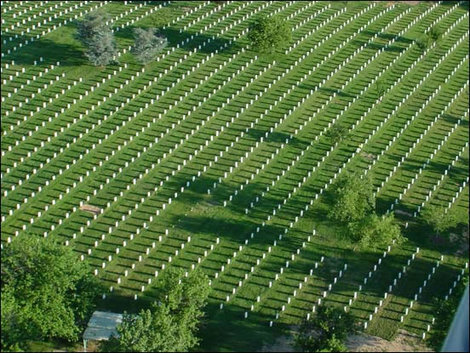 In Europe, we will never forget the sacrifices Americans have made for our liberty. I and my colleagues represent a new generation of leadership in the Conservative Party. But the Party I lead today in Opposition, and which I hope to lead in Government, is proudly Atlanticist, proud of the ties of history and family that bind our two nations. Britain and America have stood alongside each other in so many of the battles for liberty over the last century. In two World Wars. My own grandfather landed with the liberation forces on the Normandy beaches and fought alongside our American allies before he was wounded and evacuated to Britain. We stood together in the battle against Soviet expansionism. And today we must stand together against global terrorism fuelled by a perversion of the Islamic faith. I've seen our soldiers serving together in the deserts of Afghanistan and the dust of Iraq, and I pay tribute to their professionalism, their courage, and their comradeship. The relationship between our two countries is indeed special. And it will remain special for any British Government I lead - grounded in the long history we share together, and the ability to talk freely to each other as only old friends can. My view is clear: the cause of peace and progress is best served by an America that is engaged in the world. And the values we hold dear are best defended when Britain and the United States, and the United States and Europe, stand together." The Telegraph's Three Line Whip: "Tonight’s YouGov poll for the Telegraph is, to quote our polling guru Anthony King, ‘one of the most devastating I’ve ever seen’. That’s quite a verdict from a man who has been looking at these things for four decades. We’ll say no more for now, other than that one of the questions was on the technical matter of various persons’ ability ‘to run a whelk stall’." Another day, another Labour scandal? "Hundreds of criminals, including those accused of sexual offences, have avoided prosecution after a "cover-up" in magistrates' courts, The Daily Telegraph can disclose. Jack Straw, the Justice Secretary, is to admit that over a period of "many years" hundreds of cases never came to court because warrants were not issued for the arrests of defendants when they failed to show up at court. It means that the offenders got away with their crimes. Mr Straw has known about the cases, which initially involved Leeds magistrates' court but are suspected could go much wider, for some weeks." The eleventh category in the Conservative Movement Awards 2007. I'm currently in Washington DC (have been for two weeks) and will be attending all three public events of David Cameron's visit here, including his speech to Brookings on the precarious situation in the Balkans - a subject close to the heart of the Tory leader's Chief of Staff, Ed Llewellyn, who was adviser to Paddy Ashdown when the latter was High Representative for Bosnia and Herzegovina. At the afternoon press conference I will, as promised, attempt to ask a question on the special relationship from a ConservativeHome reader. Please use the thread below to suggest one. The Conservative leader's visit will begin with a visit to Section 60 of Arlington cemetery to pay respects to the American soldiers who have died in the Iraq and Afganistan wars. A moving choice. I'll blog as much of the visit as I can, as soon as I can. The Labour meltdown means that I have been neglecting to adequately cover significant Tory announcements. There was last week's education announcements from Michael Gove and I recommend this webcameron video for a summary of those (there are also these Platform essays from Reform and Policy Exchange). There was also Monday's announcement on prison reform by Shadow Secretary of State for Justice Nick Herbert. Conservatives would scrap the disastrous early release scheme, and build emergency prison places. Double the sentencing powers of magistrates to 12 months and repeal any new restrictions on their ability to hand down suspended sentences. Introduce honesty in sentencing so that convicted criminals serve a minimum sentence handed down to them by the judge. Ensure sufficient prison capacity to hold all those sentenced by the courts – and reform prison regimes to break the cycle of re-offending. 5.15pm: Two minute video clip of Cameron blasting Brown is now on PlayPolitical. ToryRadio has the full audio. 4pm: A great line from Fraser Nelson (my emphasis): "Brown told Peter Tapsell that "this job is an important job and I will continue to do it to the best of my ability". Yes, Prime Minister, that's what we're all worried about." Editor's verdict: "Vince Cable steals the show today with his Mr Bean line. As the FT's George Parker has just said on Radio Five - Mr Brown thinks himself a serious, weighty figure and hates to be ridiculed. Well done, Mr Cable! Another good performance from Mr Cameron. He provided plenty of good clips for the rest of the day's broadcasts. Also good to hear John Gummer and Michael Ancram joining the attack so successfully." 12.24pm: Another good question, this time from John Gummer: The PM said his decision to call off the election had nothing to do with the polls and his inheritance tax cut had nothing to do with what the Conservatives had done. How can we believe him now when he says he knew nothing about the dodgy donations? 12.17pm: Excellent question from Michael Ancram: Why are all his party colleagues so intent on keeping him in the dark? 12.11pm: Vince Cable highlights the underfunding of the armed forces. The Prime Minister replies by saying that Britain has the second best funded armed services in the world. [Fraser Nelson dealt with that claim last week: Des Browne's Defence Funding Fiddle]. 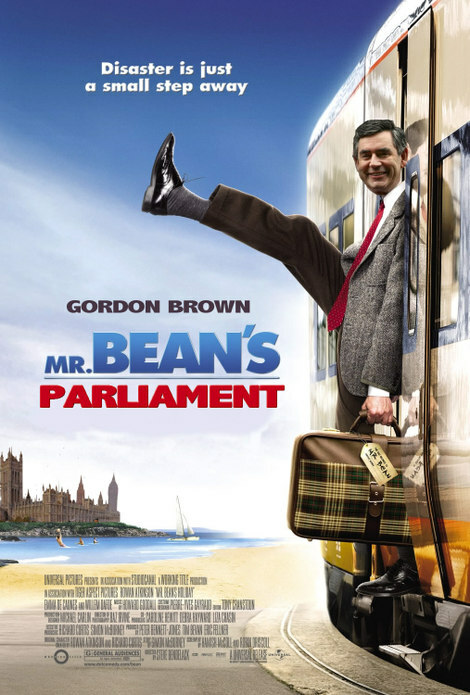 12.11pm: Best line of the day from Vince Cable: In a few short weeks the Prime Minister has gone from Stalin to Mr Bean. 12.07pm: This goes to the heart of Prime Minister's integrity, says Cameron. His explanations beggar belief. We've had disaster after disaster since he became Prime Minister. A run on the bank. Half the country's personal details lost in the post. Now this. The Prime Minister is looking less and less cut out for the job. Enthusiastic Tory cheers. 12.04pm: Has the PM invited the police to investigate? [Ben Brogan thinks that a police investigation is inevitable]. If, as he said yesterday, unlawful acts have been committed, he should call in the police. The public will see the Prime Minister wriggling. John Mendelsohn, Labour fund manager, knew about this unlawful behaviour a month ago. Why is he still in place? [Guido has the background on Mendelsohn]. Mr Brown replies by saying that Mr Mendelsohn had been led to believe that the donations had been cleared by the Electoral Commission. 12.02pm: David Cameron invites the Prime Minister to say if he believes he still is delivering competence and trust to British politics. The Prime Minister responds by saying that he has set up enquiries and is determined to ensure that party political funding is all above board. 11.59am: I'm listening to Radio Five Live: Commentator says 'goal gets wider for David Cameron every week'. Indeed! The November ConservativeHome survey is now live. In addition to the regular tracker questions we are seeking your opinions on the handling of defectors, foreign policy and tackling the Liberal Democrats. "What we have learnt over the last few days is that when it comes to regulation and legislation there’s one law for government – and another one for everyone else. These people, they set up these quangos, they pass these laws, they introduce these regulations, they insist on this bit of scrutiny, that bit of compliance – and whether it’s their own government debts or their own party machine they just don’t obey it. There is a time in the life of every government when they’ve been in power for so long that complacency tips over into arrogance, and arrogance even becomes indifference to the law. They’ve passed that point and change, real change, is needed now in Britain." "It frankly defies credibility that Peter Watt didn't know that this most basic of compliance rules was in place... If that is the case, we wonder what else has been going on there... This kind of looks like institutionalised cheating in the system and adds to this general sense there now is of this whiff of decay and, frankly, greed. These are rules that Labour themselves brought in, with our support, and we think it is really important they should be followed. It does look like institutionalised evasion of the rules going on here. Large sums of money don't come spontaneously. You don't get a random cheque through the post. They come about through conversations and discussions, persuading people that supporting your party is a good thing to do. These are not obscure technical breaches. This is the most basic thing. The whole point of the Act was to require disclosure and transparency over substantial amounts, so people would know who was paying it. If the money was being disguised and laundered in this way, you do just wonder what lay behind it." On the blogs: Guido is at his best at the moment. If you want to follow the twists'n'turns of Labour's donations crisis I suggest you bookmark order-order.com. Ben Brogan wonders if Harriet Harman could be in trouble for accepting £5,000 from Abrahams for her Deputy Leadership bid. Nick Robinson notes that Brown did not give her backing at his press conference. In a must-read post, Danny Finkelstein finds Labour's explanations "ridiculous". And Dan Hannan worries that taxpayer-funding of political parties will be presented as the answer to the problem of big private donations. The ninth category in the Conservative Movement Awards 2007. Alex Salmond has been giving advice to George Osborne on winning votes in Scotland. The SNP is about to ditch its long-standing opposition to coalition deals with the Conservatives [although Annabel Goldie is determined to stick with her no-coalitions pre-election promise]. David Cameron and Alex Salmond are due to meet to discuss how they might work together if Cameron becomes PM and Salmond is still First Minister [- an increasingly likely scenario]. What does all of this mean? Both parties have narrow partisan interests in causing Labour trouble. Neither want the return of Labour to Scottish Government and the boost that would give Gordon Brown. You can rely, therefore, on the Tories keeping Alex Salmond as First Minister. Annabel Goldie and Murdo Fraser are exacting real gains for this support, however, on an issue-by-issue basis. Cuts in business rates and a freeze on council tax are the stand outs. More police officers and extra drug rehab places are the other big Tory policy aims. One senior member of the Scottish party told me yesterday that the "decontamination of the Scottish Conservatives was nearly complete". The good working relationship with the SNP, in particular, had ended the party's "pariah status". That, my contact said, could be very good for Tory prospects at the General Election. 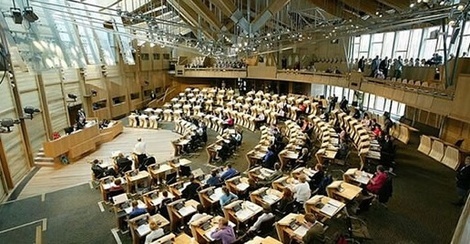 The Scottish Tories are also working with Scottish Labour and the Scottish LibDems on a package of measures that might increase the potency of the Holyrood Parliament and reduce support for independence. That, above narrow party interest, must remain the key aim of the Conservative and Unionist Party. Ultimately the SNP must not prevail. "The so-called "Cameroonians" are in a sense the true heirs to the American neoconservatives of the 1970s. They are sensitive to the role culture plays in perpetuating poverty. They are cautious about the power of the state and yet not allergic to using the state to meliorist ends. Perhaps most important, they enthusiastically embrace modern Britain and not Britain as it was in 1950." David Cameron a neocon? 1970s version or not - that won't please him! A ComRes poll for tomorrow's Independent has the Conservatives 13% ahead. Yes, unlucky for Labour 13%! Labour is down 6% on its previous ComRes rating. Is this a permanent turning against Gordon Brown? If so, there must be a good chance that Labour will replace him before too long. Their problem is the lack of obvious alternatives. David 'we'll be in power for ten more years' Miliband? Or Ed Balls - master of the non-election? I think we can safely say that Mr Darling won't be in the running. 10.45pm: Andrew Grice's view of his newspaper's poll. Hopefully there'll be more detail tomorrow. Should Sajjad Karim be fast-tracked to the top of the North West list? "I am delighted to inform you all that SAJJAD KARIM, until now one of the Lib/Dem MEPs for the North West of England, has decided to join the Conservative Party and has accepted my offer to join our Delegation. The Chief Whip, with my authority, has informed him that he is in receipt of the Conservative Whip as of today. This decision by Sajjad is a very important and courageous one and underlines the fact that under David Cameron's leadership we are now, as a Party, with our "Broad Church" much more attractive to former Lib/Dem members. David Cameron himself has given his full approval and support to this decision by Sajjad. The discussions themselves which I have carried on with Sajjad have, by necessity, been confidential and obviously sensitive but I am certain that the outcome will be of great mutual benefit to both him and us. I will notify you in a separate message of an early opportunity for you all to meet with our new Conservative member although I appreciate some of you already know him - but obviously not in the new role which he is taking on. This is a timely event falling as it does during the increasingly fractious Lib/Dem leadership election. Perhaps others may decide to leave that Party and join us. I do hope so." Do the words (emboldened) in paragraph three mean what I think they mean? Has he been promised a top spot on the North West list - pour encourager les autres - thus denying a long-standing Conservative the chance to become an MEP? While I welcome any defection from the LibDems I'd like to be persuaded that his views are consistent with what we'd want from a Conservative representative. There has to be some suspicion that they are not (see here and here). The eighth category in the Conservative Movement Awards 2007. Click here to scroll down all of the categories that have been opened up so far.